On this feast of Saint Scholastica I’m sharing a link to “The Holy Twins”. Even though intended for readers between four and eight years of age, it is, I believe, a precious book to behold. 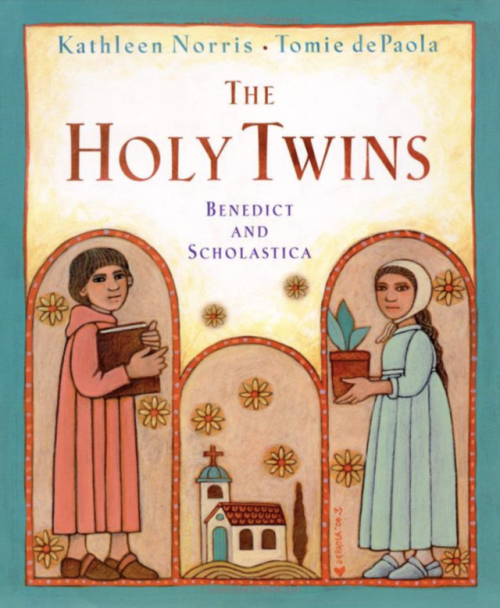 Author and Benedictine oblate Kathleen Norris turns to the sixth-century twins Benedict and Scholastica for this informative dual biography. In easily accessible language and a straightforward tone, she describes the twins’ embrace of the monastic life and Benedict’s miraculous visions and special calling. Norris is at her most appealing in her wry contrast of Benedict’s hard-won insights into the peaceful maintenance of monastic order, codified in his famous Rule, with Scholastica’s natural understanding of the shared spiritual life. Young readers will be lured into the narrative by dePaola’s friendly art, presented in panels that loosely recall the structure and composition of medieval religious art. Like Norris, the artist emphasizes Benedict’s and Scholastica’s humanity rather than their saintliness. Why It Is Important To See Angel Number 333?